Let me update on some more Bong food. 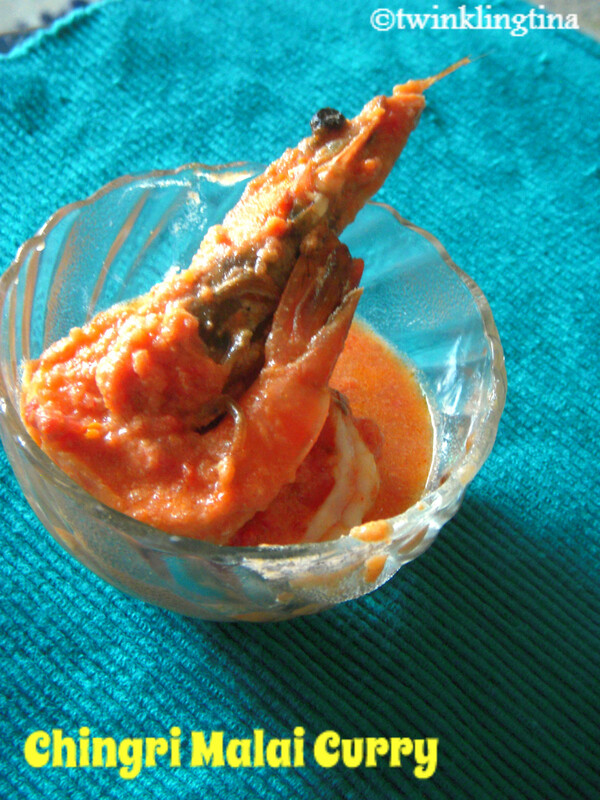 ‘Chingri’, as we call the prawns, is very popular among Bengalis. We love batter fried prawns, prawn curries, prawn with vegetables and so many ways that we cook prawns. However, ‘Prawn Malai Curry’or ‘Chingri Macher Malai Curry’ takes the cake off when it comes to authentic Bengali Prawn preparation. Prawn is cooked in tomato & coconut milk without much of spices and has a very nice subtle earthy taste. 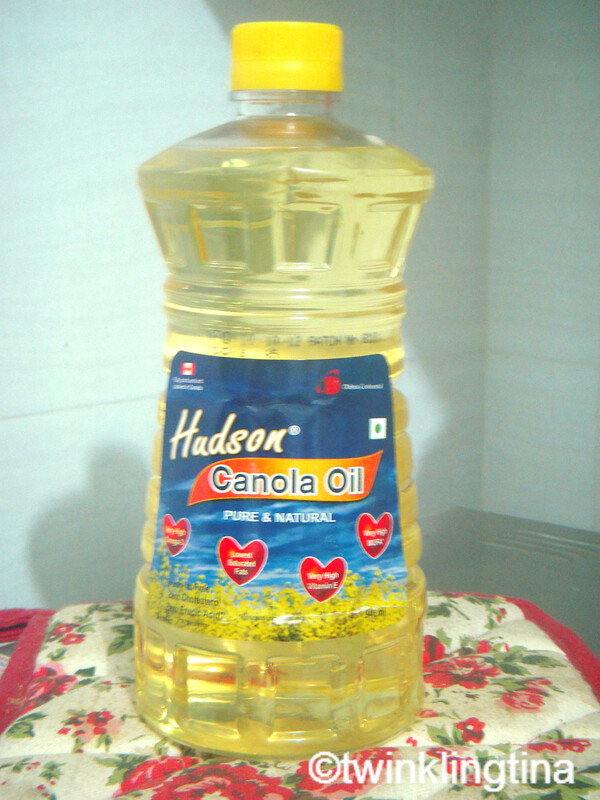 Sometime back I had got this Hudson Canola Oil for review. It came along with a quick recipe book which is quite handy. There must be lot of people who are unaware about this Canola oil. So I have some information about Canola oil. (This is from their website though). Hudson Canola is a standard edible vegetable grade oil, a light oil with neutral taste and flavour. Hudson Canola can be used for all types, methods and varieties of Indian cooking: frying, roasting or grilling. Canola is neutral in flavour and aroma with no distinctive taste or smell. Canola Oil is extruded from the seeds of the yellow Canola flower. Canola Oil has the lowest saturated fat amongst all oils, very high monounsaturated fat, very high Omega-3 and rich Vitamin-E content. Any ways, I have used it now and I am quite happy with the results. It’s light and doesn’t have any strong flavour. You can cook almost anything that you would otherwise do with vegetable oil or Sunflower oil. I have used it both for curries and frying and gives quite good result. It’s very popular in SE Asia. You can even bake with it. It’s a little costly than other ones but you can definitely give it a try. Place the de-veined prawns in a bowl and marinate the prawn with salt and juice of 1 lemon. Mix well and keep aside for 15 mins. Heat a table spoon of oil in a wok and fry the marinated prawns lightly till they turn opaque & orange. Take out in a bowl and keep aside. This will ideally take you about 2 mins. Don’t overcook the prawn at this stage else it will taste like rubber. Add another table spoon of oil in the same wok and add the cumin seeds, green cardamom and a slit green chili. Add ginger paste, cumin powder and red chili powder and fry for a minute. Add the pureed tomato and cook till oil oozes out on the sides of the wok. Add little sugar and salt to taste. Add the seared prawns and mix them well with the tomato gravy. Add the coconut milk and cook it in low heat for few minutes. Add the soaked dry fruits and grated coconut and cook in low heat for a minute. And that’s it you are done. Isn’t it just simple? 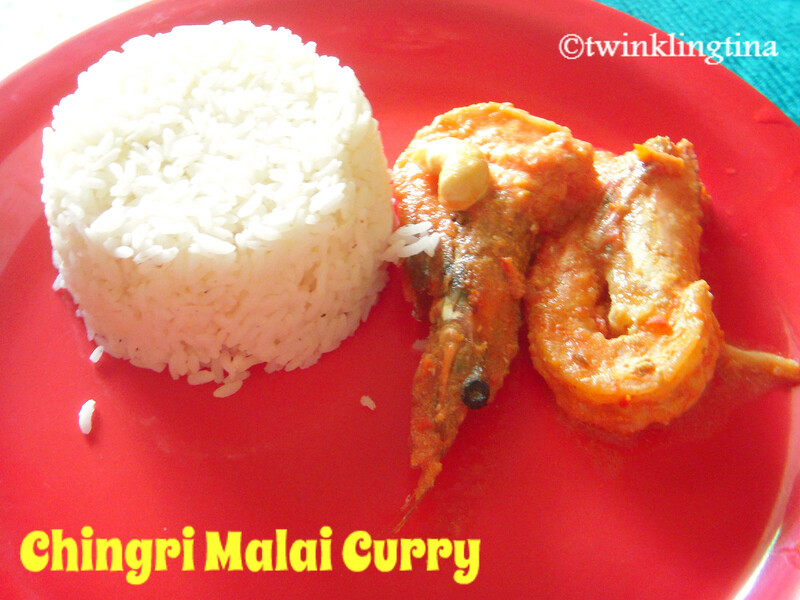 An authentic Bengali Malai curry doesn’t have turmeric, onions or mustard oil (which are otherwise quite common). It tastes best with rice. So cook and enjoy and let me know how you liked it.